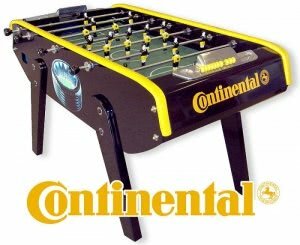 The Bonzini B90-ITSF is an official ITSF approved table, designed for use in major International tournaments, the world championship and the world cup. It includes an official tournament license. The sturdy aluminium players combined with the free heavy cork balls enable excellent grip and control. Whats more the players can be customised in different colours if requested. 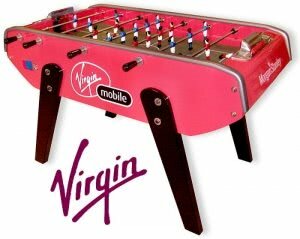 The solid metal legs and the two steel leg cross pieces ensure the table maintains outstanding stability at all times, even during fast-paced competitive games. A premium table that even includes adjustable feet to enable a perfectly even playing surface.